A team of semiconductor researchers based in France has used a boron nitride (BN) separation layer to grow InGaN solar cells that were then lifted off their original sapphire substrate and placed onto a glass substrate. By combining the InGaN cells with photovoltaic (PV) cells made from materials such as silicon or GaAs, the new lift-off technique could facilitate fabrication of higher efficiency hybrid PV devices able to capture a broader spectrum of light. Such hybrid structures could theoretically boost solar cell efficiency as high as 30 percent for an InGaN/Si tandem device. The technique is the third major application for the hexagonal BN lift-off technique, which was developed by a team of researchers from the Georgia Institute of Technology, the French National Center for Scientific Research (CNRS), and Institut Lafayette in Metz, France. Earlier applications targeted sensors LEDs. "By putting these structures together with photovoltaic cells made of silicon or a III-V material, we can cover the visible spectrum with the silicon and utilise the blue and UV light with InGaN to gather light more efficiently," said Abdallah Ougazzaden, director of Georgia Tech Lorraine in Metz, France and a professor in Georgia Tech's School of Electrical and Computer Engineering (ECE). "The BN layer doesn't impact the quality of the InGaN grown on it, and we were able to lift off the InGaN solar cells without cracking them." 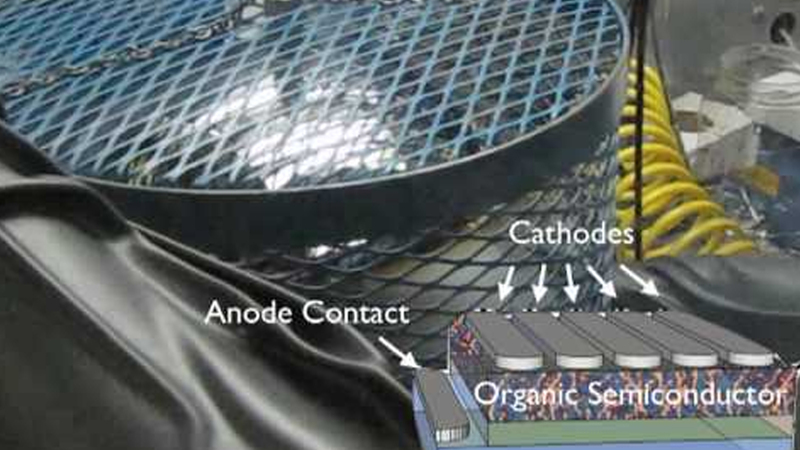 The researchers began the process by growing monolayers of BN on two-inch sapphire wafers using an MOVPE process at approximately 1,300degC. The boron nitride surface coating is only a few nanometers thick, and produces crystalline structures that have strong planar surface connections, but weak vertical connections. The InGaN attaches to the BN with weak van der Waals forces, allowing the solar cells to be grown across the wafer and removed without damage. So far, the cells have been removed from the sapphire manually, but Ougazzaden believes the transfer process could be automated to drive down the cost of the hybrid cells. "We can certainly do this on a large scale," he said.